In a bowl toss in chopped fennel, a splash of olive oil, and a pinch of salt and pepper. Lay out fennel onto parchment lined baking sheet. Roast in oven for 10 minutes, stir and roast another 10 minutes. Remove from oven, set aside. While fennel is roasting, get a medium sized pot heating on the stove. Add a swish of olive oil and toss in your onions. Cook until they start to soften. Add in garlic and roasted fennel. Stir and let cook on medium low for a few minutes. Toss in broccoli, basil, thyme, coriander and a pinch of salt and pepper. Stir and cook a few more minutes. Pour in your chicken stock and nutmeg. Simmer for about 20-30 minutes or until all vegetables are soft. Pour in evaporated milk and bring to a light boil. Remove pot from heat. Add your lemon or lime juice and taste for seasoning. Add more salt and pepper if needed. Using an immersion blender puree soup until no longer chunky. If you do not have an immersion blender, puree in a blender in small batches. 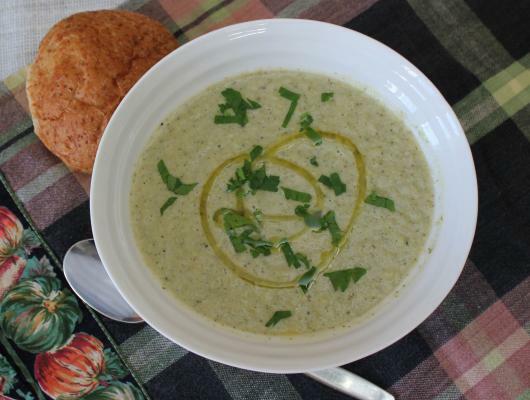 Serve with a sprinkle of fresh parsley and drizzle of olive oil. A hearty fall soup full of flavour. 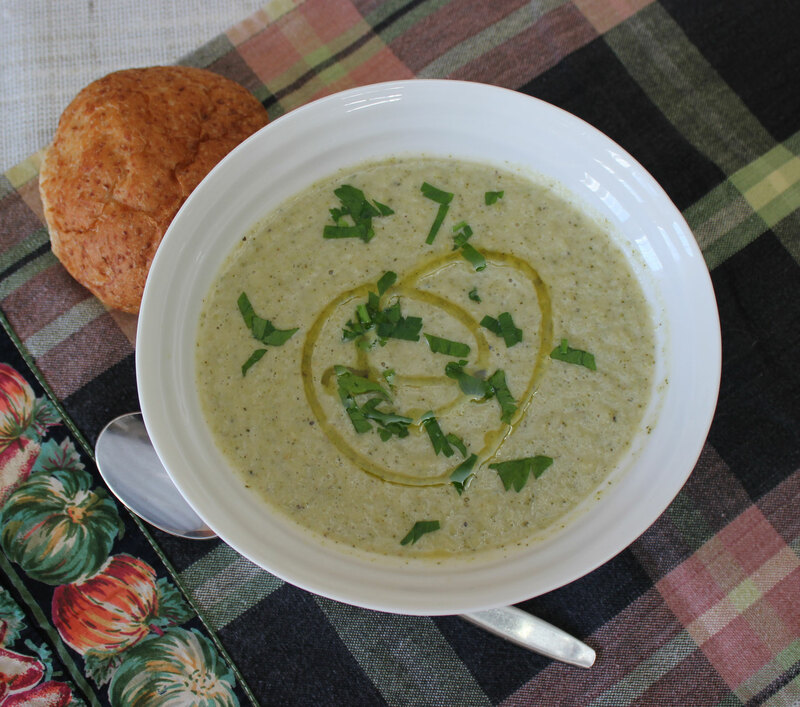 Roasted fennel and fresh broccoli is the perfect pairing for this delicious soup.